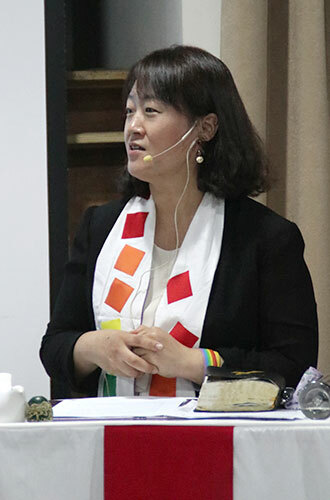 Rev Borah Lim is the senior pastor of Sumdol Presbyterian Church, a member of the Justice & Peace Committee in the National Council of Churches in Korea (NCCK) and a member of Rainbow Jesus, a gathering of LGBT+Christians and allies, in South Korea. Her church strives to be an affirming church presence in a society where homophobia is extremely common. She has been awarded the Rainbow Human Rights Award by CHINGUSAI, a Korean Gay Human Rights Movement Organization, in 2012. Lim graduated from Hanshin University Theological Seminary and she was ordained in 2002. She co-published various books, including 'Homosexuality that met God'.